Our loose leaf Chai black tea in an elegant gift tube! Chai black tea is a traditional Indian spiced tea sometimes known as Masala Chai. This loose leaf blend is made from Indian black tea, cardamon pods, cinnamon, ginger, cloves and red pepper. It can be enjoyed on its own or with a dash of milk and sugar. For an authentic taste you can simmer this tea in milk and strain once it is ready. Love Chai and want to try more? 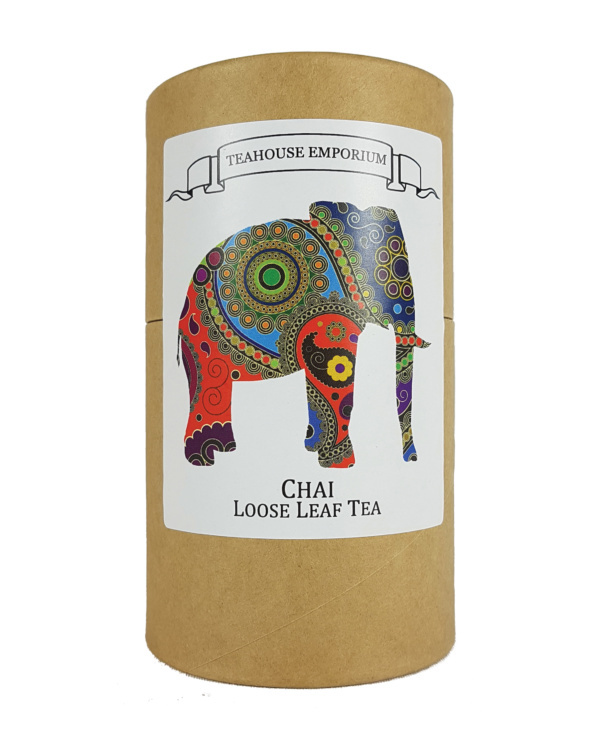 Discover all of our chai teas in our Chai Tea Selection Pack!